A harmful algal bloom (HAB) is the explosive growth of cyanobacteria (also known as blue-green algae) in a body of water such as Lake Erie. Unlike green algae, which are basically aquatic plants, cyanobacteria have the ability to produce toxins that can cause illness or death in humans and pets who come in contact with contaminated water. In Lake Erie, harmful algal blooms occur most often in the shallow, warm parts of the lake. Because western Lake Erie fits that description so well, blooms begin to develop there in July, usually peak in mid-August to early September, and may last through mid-October, when the water gets cold again. One of the easiest ways to know if there’s a bloom and where it’s located is to sign up for NOAA’s Lake Erie HAB Bulletin. It’s an easy way to make sure you’ll be able to enjoy the water wherever you’re visiting Lake Erie. A number of agencies provide information on Lake Erie water quality, including harmful algal blooms. Visit the websites below to check the status of your favorite beach before you visit. A print fact sheet is available for download. Microcystis is the most common cyanobacterium in western lake Erie, often forming green surface scum in calm waters. Harmful algal blooms can occur almost anywhere there’s water, from retention ponds to Lake Erie. The blooms are fueled by excess phosphorus and nitrogen, two nutrients found in fertilizers and sewage treatment plant discharge, for example. Excessive amounts of nutrients in the water that runs from rivers into Lake Erie lead to excessive algal growth. Unlike green algae, which prefer cooler water, cyanobacteria need warm water to grow, which is why most blooms show up in Lake Erie in July and continue through mid-October. The shallow waters in the western basin heat all the way from the surface to the bottom, giving the cyanobacteria plenty of room to grow. The sediment runoff that brings excess nutrients into the lake also creates more favorable conditions for Microcystis, the most common cyanobacterium in the open waters of western Lake Erie. Because Microcystis can float to the surface when the water is calm, it still has access to the sunlight it needs to grow, while other algae sink to the bottom where the suspended sediments make the water too dark for them to thrive. In Sandusky Bay, where Planktothrix is more common, the suspended sediment creates the lower-light conditions that particular species prefers. In western Lake Erie, all of these factors combine into a “perfect storm” of favorable conditions for harmful algal blooms. Harmful algal blooms can cause taste and odor problems in drinking water, pollute beaches and harbors when large amounts of cyanobacteria form unsightly surface scums, and may produce toxins that can harm humans and pets. These algal toxins, when present above certain concentrations, affect the liver, nervous system and skin. Water treatment plants are usually set up to remove these toxins from drinking water and perform regular testing year around to make sure the water they deliver to residents is safe. 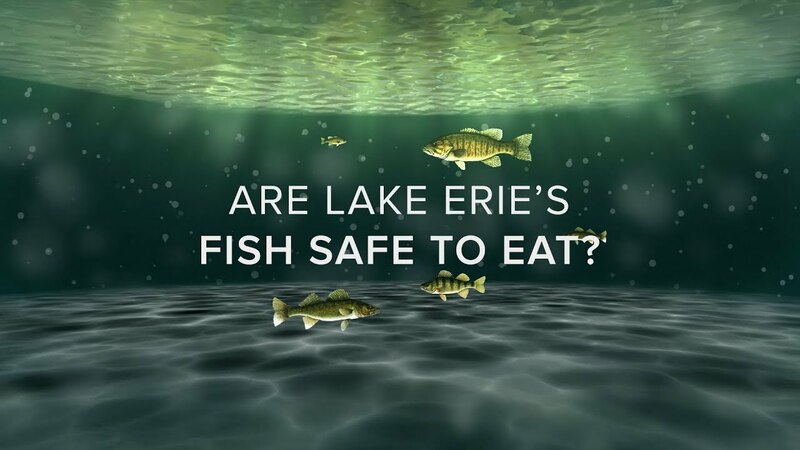 People who fish in Lake Erie may be concerned about how their catch is affected by these toxins, but recent research has shown that filets from Lake Erie walleye and yellow perch are safe to eat as long as consumption advisories from the Ohio EPA are followed. When these fish do pick up algal toxins from their environment, they process them via the liver, which isn’t usually eaten. While blooms mostly form in western Lake Erie, wind and water currents can then move them around. Once the bloom moves east into the central basin and the cyanobacteria die and sink to the bottom, they’re decomposed by bacteria. That process uses up oxygen in the bottom waters and leads to a condition called hypoxia (also known as the dead zone), which can negatively affect fish and other organisms living there. 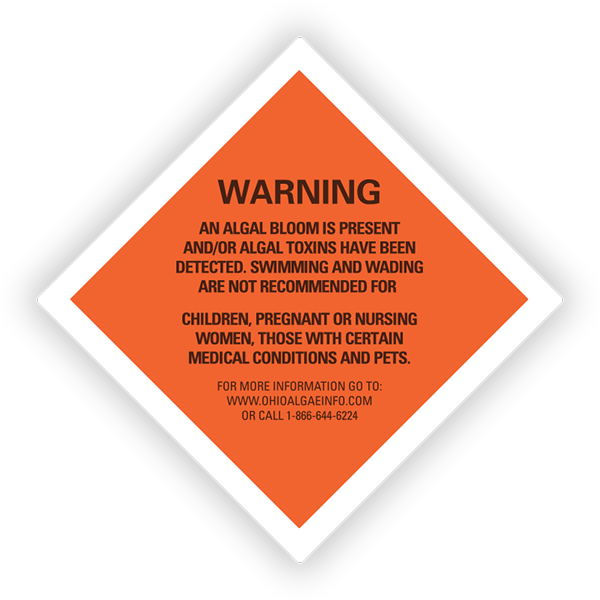 An orange sign will be displayed at state park beaches when a HAB is visually confirmed and/or when cyanotoxin levels are equal to or exceed the threshold. 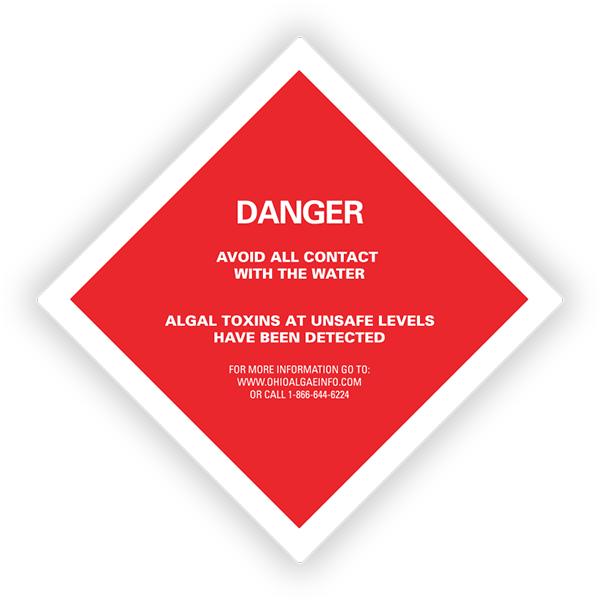 A red sign will be displayed at state park beaches when HAB toxin levels are equal to or exceed the “Elevated” threshold. 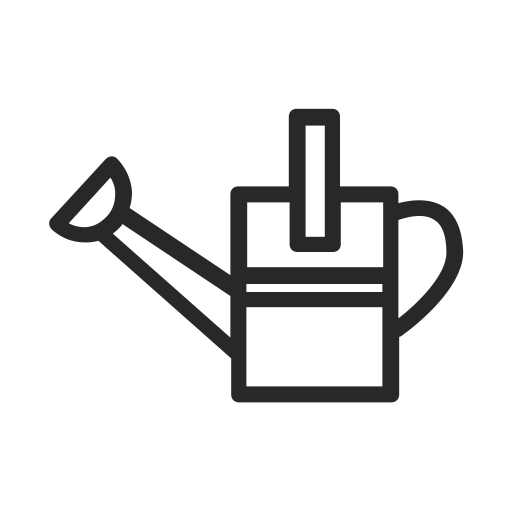 At home, you can choose to use fertilizers that don’t contain phosphorus – many major brands have already eliminated it from their lawn care products, but it’s always worth checking the label again to be sure. Look for the N-P-K ratio, which indicates the percentage of nitrogen, phosphorus and potassium in the product you’re using. There’s also no need to use more nitrogen fertilizer than indicated in the package instructions to compensate for the lack of phosphorus. If you have a septic tank, make sure it’s in good repair. Leaky septic tanks are a small but significant portion of the nutrients that run into Lake Erie. You can also install a rain barrel or plant a rain garden, which both keep heavy rains from overloading sewer systems and allow sediment to settle out of the water instead of washing directly into rivers and streams that end in the lake. You can also talk to your elected officials, from city council to the U.S. Congress, to let them know that this is an important concern for you. 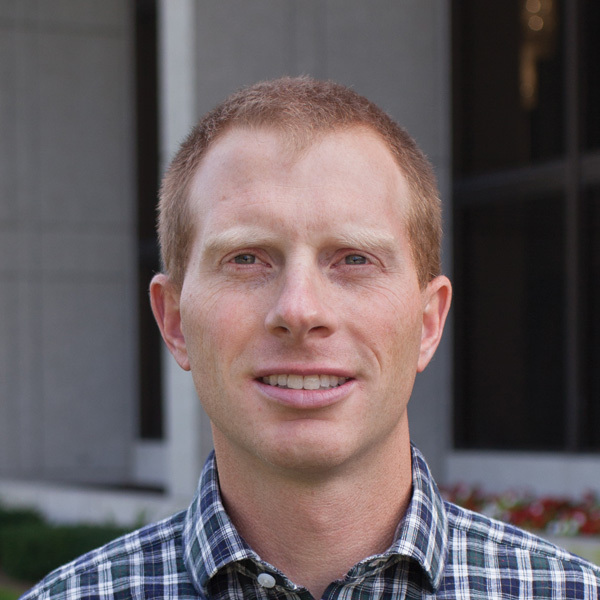 Locally, updating sewer systems or creating planted buffer zones around sewer grates to let water seep back into the ground can become a priority when people ask for it. And federal initiatives like the Great Lakes Restoration Initiative (GLRI) help fund larger projects like recreating wetlands, which act like much larger versions of those buffer strips along the side of a road in keeping sediments and nutrients out of Lake Erie. This project was partially funded by a Great Lakes HABs Collaboratory grant, in partnership with the US Geological Survey and Great Lakes Research Initiative. 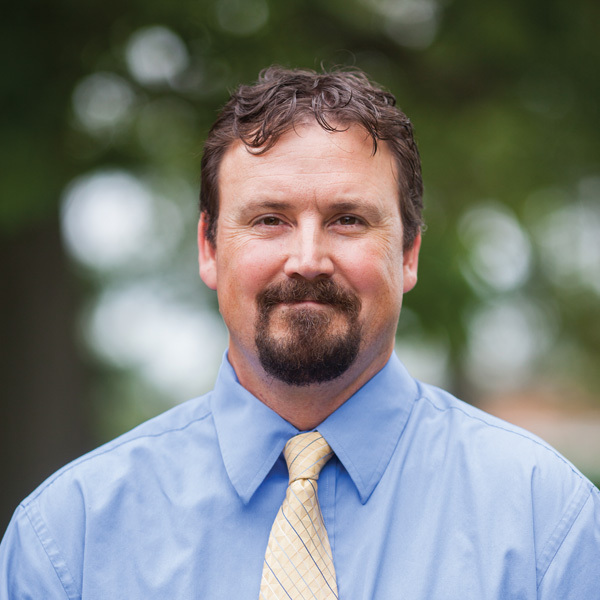 Ohio Sea Grant is discussing harmful algal blooms and their impact on Lake Erie as part of an ongoing video series. 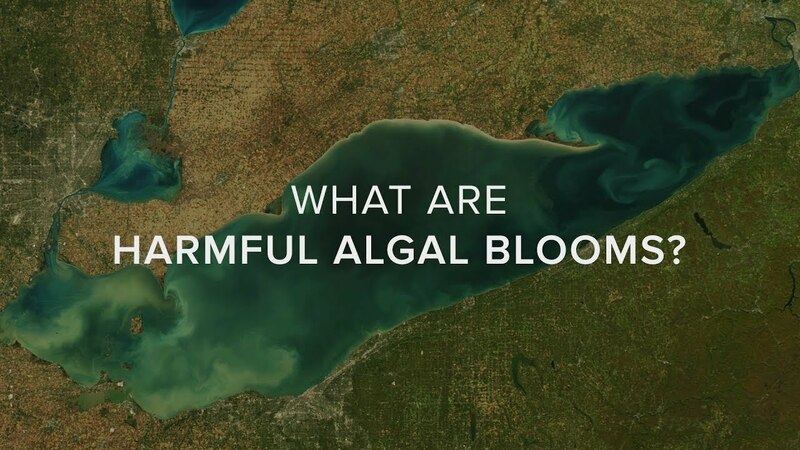 In this video, we cover what harmful algal blooms are, what makes them harmful, when they typically occur, their impact throughout the lake and what you should know to be aware of a bloom. This project was partially funded by a Great Lakes HABs Collaboratory grant. Is Lake Erie's Water Safe? Ohio Sea Grant is discussing harmful algal blooms and their impact on Lake Erie as part of an ongoing video series. In this video, we cover water safety on Lake Erie, what you should look for to know it's safe to drink and swim, and what scientists are doing to test the water. This project was partially funded by a Great Lakes HABs Collaboratory grant. Are Lake Erie's Fish Safe to Eat? Ohio Sea Grant is discussing harmful algal blooms and their impact on Lake Erie as part of an ongoing video series. 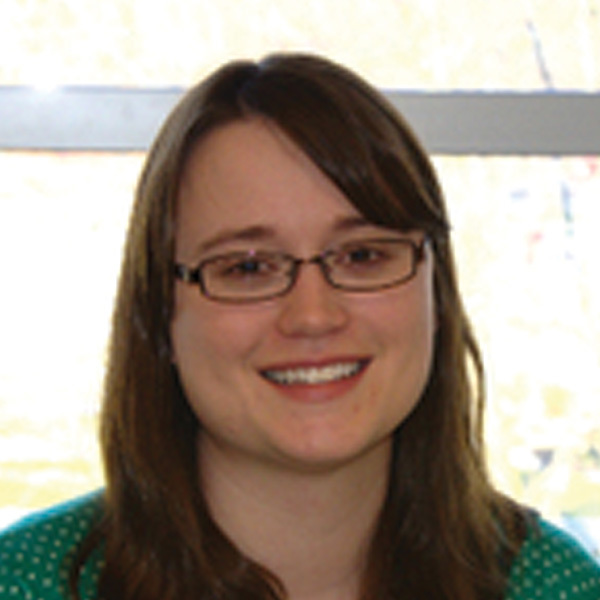 In this video, we discuss how harmful algal blooms impact the fish in Lake Erie. This project was partially funded by a Great Lakes HABs Collaboratory grant. Ohio Sea Grant is discussing harmful algal blooms and their impact on Lake Erie as part of an ongoing video series. 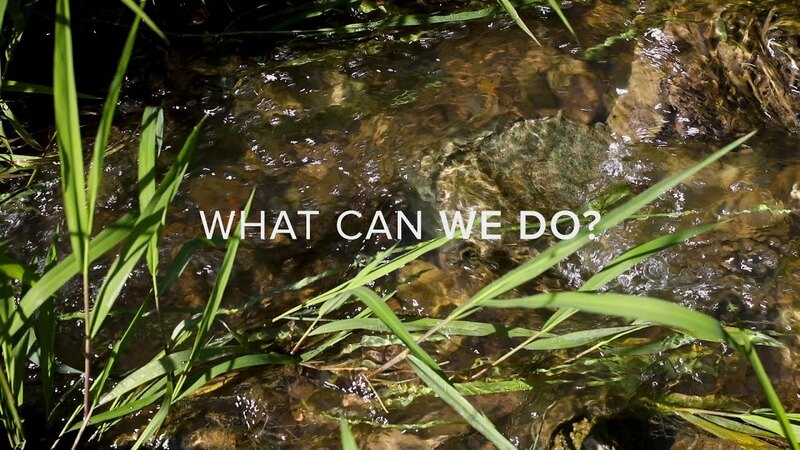 In this video, we cover what can be done to help reduce harmful algal blooms and their impact. This project was partially funded by a Great Lakes HABs Collaboratory grant. This feature is coming soon. For now please use the form below. Be sure to include an email where we can contact you and your location to help us better serve you. The blooms off Cleveland, and in the rest of the central basin, are a different type cyanobacteria that blooms in the western basin. The central basin blooms are called Dolichospermum, whereas Microcystis blooms in the western basin. Dolichospermum in Lake Erie produces different toxins called saxitoxins. Low biomass (compared to the western basin) Dolichospermum blooms are typical for the offshore waters of the central basin in early to mid-July, but they have washed ashore where they can turn a beach or marina very green. A Dolichospermum bloom washed into Fairport Harbor in July 2016. Luckily, the July central basin Dolichospermum blooms are usually very short-lived (a week or two). Warm weather has allowed the western basin bloom to begin about 2 weeks earlier. Most of the time, algal blooms are isolated to certain areas of the lake. Just because there is an algal bloom in one part of the lake doesn’t mean the whole lake is affected. In fact, sometimes the algal bloom may occur in the middle of the lake and not be visible from the shore nor impact the beaches at all. 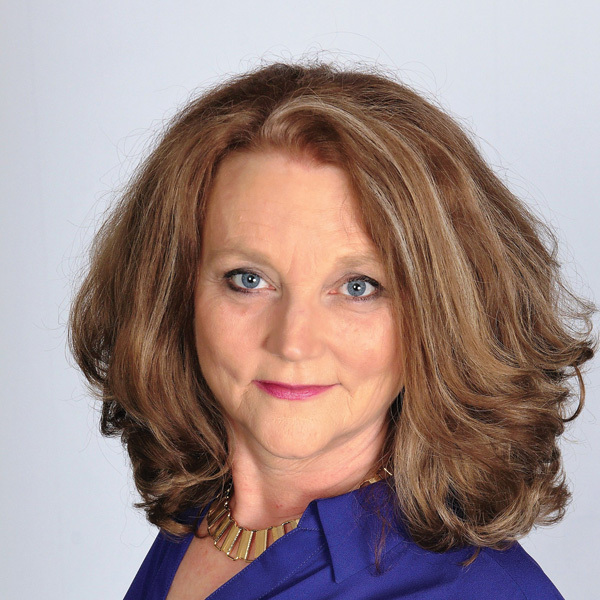 Even if a bloom is nearshore, the community and beaches next door could be fine. Conditions can also change quickly, so just because you may read or see something today about an algal bloom, it doesn’t mean the conditions are the same a month from now. If you are concerned, call the local visitors bureau ahead of time. I’ve included a list of websites and toll-free numbers below. Even if there is a bloom, there is no reason to change your plans. There are plenty of things to see and do, such as island-hopping, restaurants, lighthouses, museums, attractions, gardens, wineries and more. A lot of people have thought about harvesting the harmful algae (cyanobacteria), but no one has come up with a practical way to do it. The lake is so vast and the HABs are so large that even if it were possible, the cost would be astronomical. During the HAB season, the algae can double every day or two, therefore it would immediately grow back again requiring continual harvesting for more than a month. In additional to harvesting the harmful algae, we would also likely be harvesting the beneficial algae and zooplankton that our fish need. All in all, it just makes much more sense to put our effort and resources into trying to prevent HABs from growing in the first place by preventing nutrients from entering the lake. 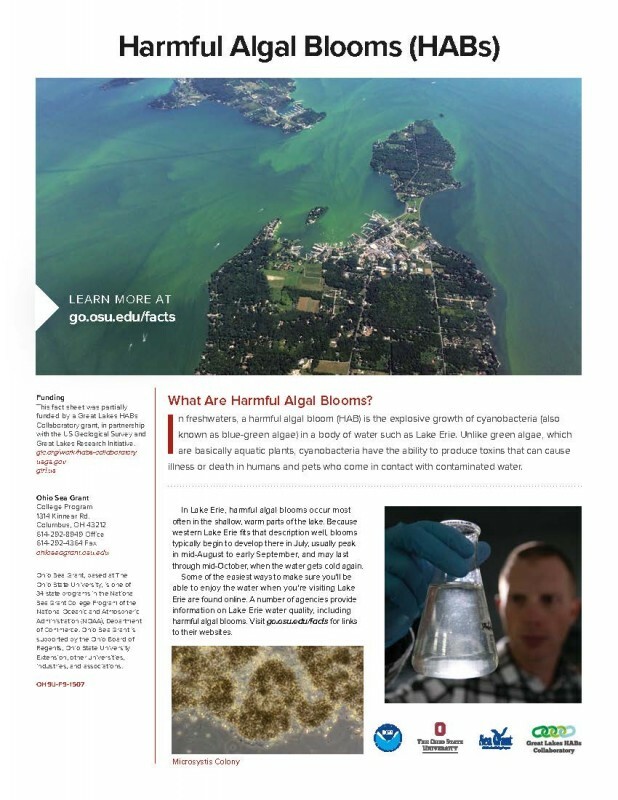 We’ve talked about the basics of harmful algal blooms, but maybe you’d like to dive deeper into some of the information? We’ve got you covered! 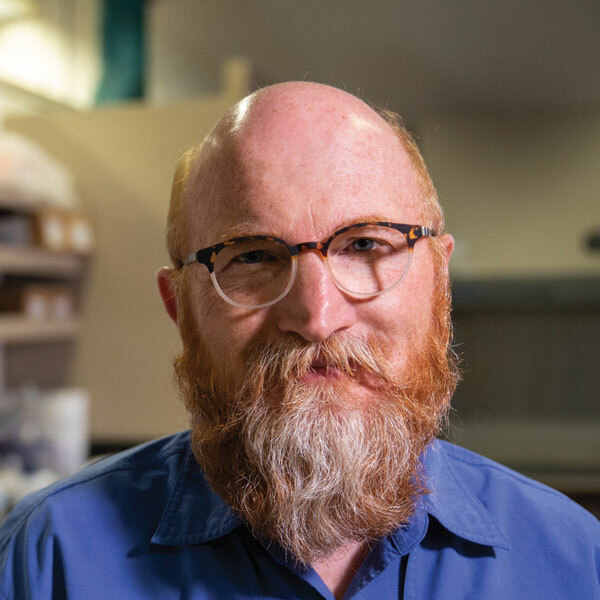 Take a look at the tabs below to access additional information about HABs, their causes, and what scientists are doing to address the issue. 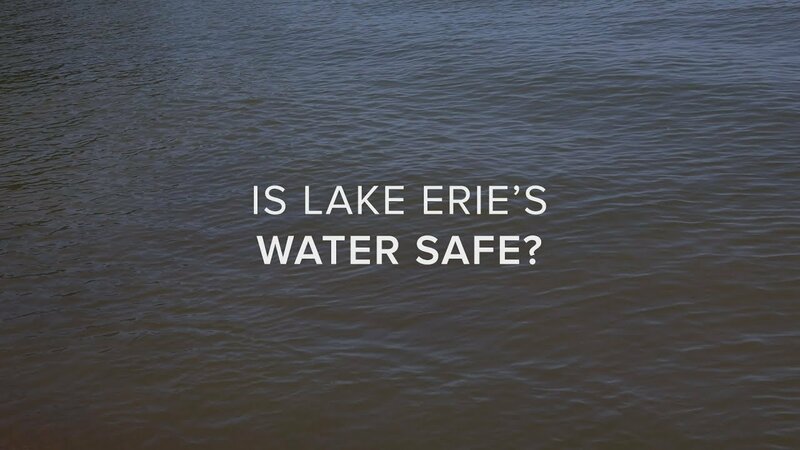 Is Lake Erie’s Water Safe? Review what you learned and earn a fancy badge! Share a screenshot of your score on social media and tag us @ohioseagrant for the chance to win a small prize. Did you have trouble with a question? Use the reset button below to start over.